Skylark Blog: Does Settlement Counsel Help or Hurt Clients? Which surgeon would you choose? Surgeon A, right? It’s a no-brainer. If that's true, then why do so many family lawyers dislike the concept of settlement counsel — an attorney who focuses exclusively on negotiations and bows out of the case if litigation is necessary? Doesn't the same logic apply? Let’s give surgeon B the benefit of a doubt. He cares about his patients. He wants them to be healthy, and he truly believes that by personally offering the full range of surgical procedures, he is fulfilling his Hippocratic oath. The equivalent in law is the duty of zealous advocacy. Lawyers often believe that they can’t advocate zealously for their clients if they restrict the scope of their representation to settlement counsel and exclude themselves from litigating. There are two problems with this view of “zealous advocacy:"
The theory of the case is a powerful, but extremely blunt, tool in the litigator’s arsenal: “Settle on my terms or I’ll have a judge do it.” This approach is simply incompatible with what it takes to reach meaningful settlement: building bridges, finding shared interests, and forming consensus. Do we really expect a lawyer to probe a party’s most private thoughts in a deposition one day, and then engage in principled negotiations with that same party the next day? Never mind whether the attorney thinks it can be done — how can we expect the party to ever trust that attorney in negotiations? It’s no wonder that so many cases settle on the eve of trial: settlement becomes a last resort, rather than a mutual accomplishment. Second, viewing a case through the lens of litigation encourages lawyers and their clients to focus on measurable outcomes — asset division, support amounts, hours spent with their children, etc. — because those are the outcomes a judge can determine. What does Settlement Counsel do? Settlement counsel can focus on principled negotiations without being pulled in the opposite direction of building an adversarial case against the other party. Settlement counsel can get to know the other party in a setting that’s non-threatening and fosters trust, allowing both parties to explore their respective interests and work toward shared understandings — opening up options for creative, mutually agreeable solutions. Settlement counsel can explore the clients’ intangible interests, being a “zealous advocate” for those interests and not just the ones that are within a judge’s limited authority. 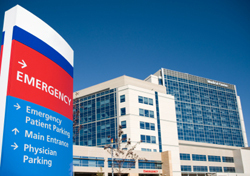 Can adding Settlement Counsel actually subtract cost? Finally, let’s consider the financial benefits to the client of using settlement counsel. Litigation isn’t just expensive — it’s EXPENSIVE, all caps. And for what? The vast majority of cases settle short of trial. Do we really need to put the clients through the wringer, just so they can ultimately settle — often in a desperate attempt to stem the financial hemorrhaging caused by litigation? There are times when litigation makes sense. A party might refuse to negotiate, or the dynamic between the parties might prevent meaningful negotiation. In some cases, it might even be necessary to use the high cost of litigation as a blunt stick to encourage settlement. But too often, the people who benefit most from litigation are the attorneys. Whatever their best intentions might be, we can’t ignore that financial incentive. Clients are certainly aware it; they know that we are keepers of the legal process, and yet we benefit the most when that process is least efficient. Going back to the surgeons, suppose you had initially chosen surgeon B. Would it change your mind to know that surgeon B gets paid by the hour, so the more complicated the surgery, the more he gets paid? It’s not to say that the surgeon intends to hurt the patient, but what is the surgeon’s incentive to focus on the skills needed to avoid complications more consistently? The disincentive might be entirely subconscious, but it can’t be ignored. For some lawyers, the choice is very conscious: they don’t want to give up litigation because they need the income. But there is no shortage of cases out there, and lawyers can make a very good living without litigating. In fact, we can often attract more business by modeling ourselves after surgeon B and offering highly focused services that are appealing to clients. Some of us are living proof of that, having sworn off litigation completely and focusing our efforts on being the most effective mediators, collaborative attorneys, and settlement attorneys we can be. It’s not only financially feasible, but it’s what most clients actually want! 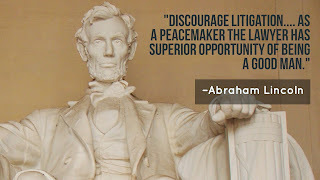 "Discourage litigation. Persuade your neighbors to compromise whenever you can. 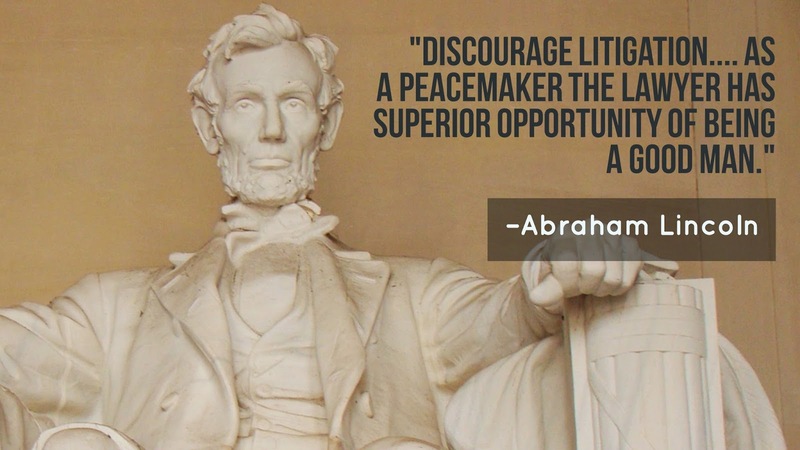 As a peacemaker the lawyer has superior opportunity of being a good man. There will still be business enough." That is exactly what settlement counsel does. *Rackham Karlsson is a family law mediator and collaborative attorney based in Cambridge, Massachusetts. His blog and podcast series, The ADR Initiative, focuses on building profitable alternative dispute resolution businesses. I believe that you omit a third option, an attorney who pursues litigation but is also trained in mediation and collaborative law. An attorney who can see both sides of your dilemma, and is capable of diligently working to find solutions through settlement negotiations through mediation or collaboration while preparing for trial. In my opinion, an attorney needs to do all the work to prepare for trial in order to prepare for mediation. The attorney must have all of the knowledge, facts, law, and positions identified and evaluated in order to effect a balanced and just settlement. To me, it is not an either / or situation -- it is doing the job with both goals in mind. Plus then, the client saves the cost of having a "settlement" attorney. Thank you for your comment and for being a part of the conversation! I don't think the option you suggest is overlooked by Rackham; I think the litigator who says they can do it all because they have collaborative law or mediation training is analogous to Surgeon B in his example. While it is possible for an attorney to work the settlement and litigation track at the same time, it is not ideal. The conflict between these dual roles becomes obvious when you consider the relationship between an attorney and the opposing party. When a litigator has an interaction with the opposing party they must be "protected" by their own counsel because there is always the chance that they will be "cross-examined" by the litigator. Everything they say will be measured and filled with distrust that the litigator is just looking for an advantage, a way to trip them up or make them look foolish on the stand. The litigator's only real tool when negotiating with the opposition is fear, because their relationship is automatically one of distrust. However, settlement counsel can problem solve with the opposition. The Collaborative Law model is built on this "team" problem solving model, and the opportunity is only there because the collaborative law attorney agrees not to litigate. Taking away the chance that an opposing party's words will be used against them in court, opens the door to interest based negotiation. Your assertion that an attorney must identify all positions "in order to effect a balanced and just settlement" assumes that the attorney has all the power to make the settlement or resolution exactly as they see fit. In my experience, court resolution is unpredictable and settlement requires two sides agreeing, not one side making the determination. The attorney's job is to inform the client and the client's right is to make the decision. Settlement counsel empowers clients to do that more effectively in my opinion, by trying to reduce fear in the negotiation, rather than increase it. There are certainly trial attorneys who also have strong mediation and negotiation skills. However, as Justin points out, there is still the problem of the attorney's relationship with the "opposing" party. For those attorneys, who may have the absolute best of intentions, the key is this sentence from the original article: "Never mind whether the attorney thinks it can be done — how can we expect the party to ever trust that attorney in negotiations?" I would further suggest that even settlement counsel have an ethical and professional obligation to continue to consider whether or not the settlement process could transform into litigation, just as a litigation attorney should advise their client of the risks and benefits of the settlement process during pending litigation. Settlement counsel who fail to advise their client of the risks of making disclosures which could be potentially prejudicial in an adversarial proceeding, or who fail to know or understand current law which defines their client's potential outcomes in litigation, are risking malpractice and certainly doing a disservice to the client. To use your metaphor, a surgeon who has no understanding of or respect for other surgical procedures, nor nonsurgical interventions is much worse for the patient as the general surgeon who has less experience with the specialized procedure - unless you can be 100% certain that the specialized procedure is the only way to go. Your analogy misses one other important aspect. If you go only to doctors that do surgery, you will only get options that are surgery. If you go to a cancer treatment center, you have many other options that might be more appropriate, such as radiation therapy. If your tool box is stocked only with hammers, then even a screw can look like a nail. But not very effective. 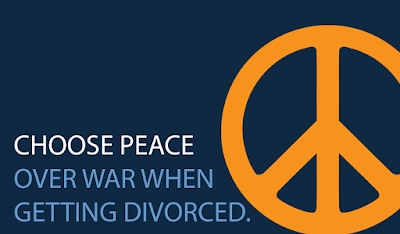 Many times divorce situations do not require 100% solution by attorney's only. Sometimes they can be a supporting role with other professionals that do not rely on law school style of training. Thank you for your comment. I agree that there are numerous other professionals that may play important roles in conflict resolution. In many instances the legal issues may be secondary to other issues. This is especially true in divorce work where mediators, coaches and financial neutrals can be the key to peaceful resolution. I also believe that settlement counsel tends to be more open to working with related professionals in conflict resolution than litigation counsel. It goes hand in hand with recognizing that you can't solve all problems just by being an attorney. Thanks for the added perspective, John. In this article, my intention was for "surgery" to be a broad metaphor for "how to get divorced." Part of the point is to illuminate, as you say, that there are different tools in that toolbox, each of which might be better suited under different circumstances. This article happens to be about about settlement counsel specifically, but it's certainly not intended to exclude other approaches or the possibility of interdisciplinary collaboration.